I-91 Shop Hop & Nice & Knit! Kara and I have been dying yarn every free minute we can. We are gearing up for the local I-91 Shop Hop. This is the fourth annual year that 12 shops located along I-91 from New Haven, CT to Putney, VT have teamed up to bring you fun, prizes, and plenty of fiber! 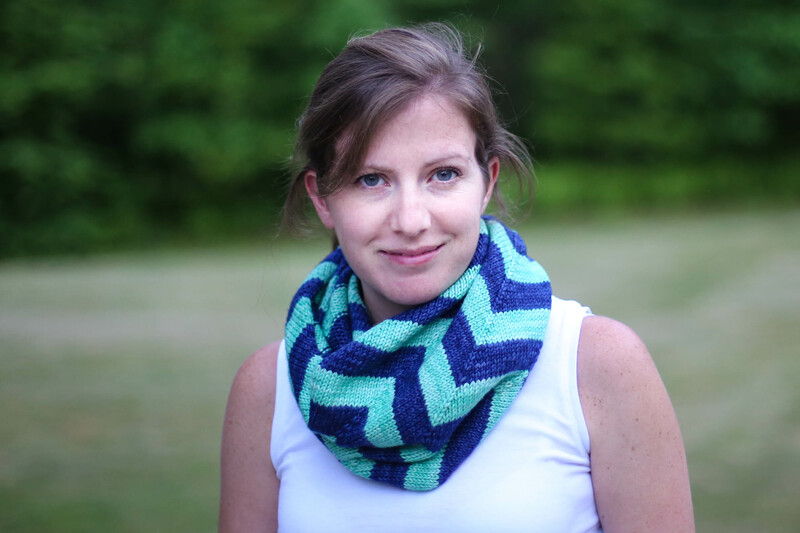 Nice & Knit will be at Creative Fibers in Windsor with our yarns and Maritime Cowl Kits. The Hop starts June 26th and will continue through Sunday June 29th. Come meet Kara & I on Saturday the 28th! We'd love to meet you! Stop in your participating LYS and purchase your Shop Hop passport for $5. Along with your passport you’ll receive a tote bag with the map and details about each of the twelve fabulous shops. Get your Shop Hop passport stamped by visiting the participating shops over the 4-day Shop Hop weekend. Every time you get your passport stamped you will be entered to win the Daily Door Prize at that shop. A total of 48 door prizes will be given out to participants! By visiting all 12 shops you will be entered into a drawing for the fabulous Grand Prize, which includes gift certificates for the 12 shops, as well as yarns, needles and other goodies. 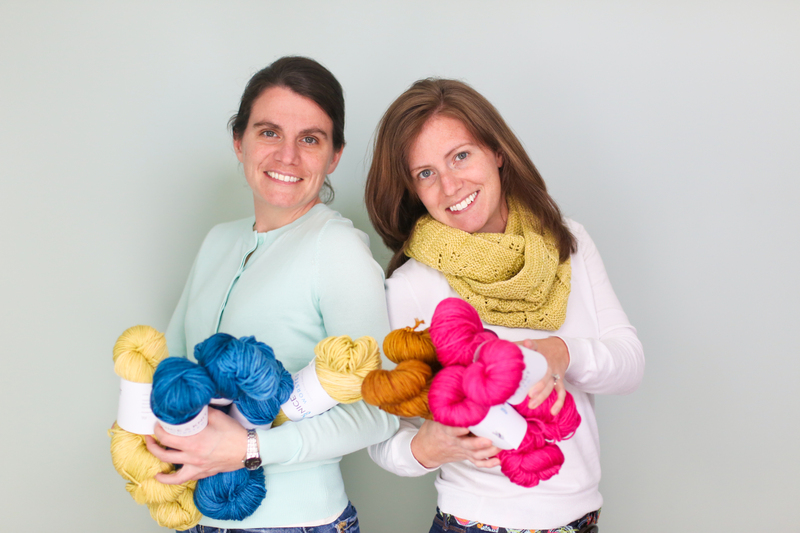 Here’s your chance to explore new yarn shops and win some great prizes. You can complete the Shop Hop all in one day, or make it a weekend event. Passports can be purchased at any of these fine shops: Green Mountain Spinnery Putney, VT) Metaphor Yarns (Shelburne Falls, MA) Northampton Wools (Northampton, MA) WEBS (Northampton, MA) Marji’s Yarncrafts (Granby, CT) Creative Fibers (Windsor, CT) Yarnover (Avon, CT) Village Wool (Glastonbury, CT) Country Yarns (Wallingford, CT) Knit New Haven (New Haven, CT) Yarn Barn (Woodbridge, CT) The Yarn Basket (Branford, CT) I better get back to dying those skeins! Can't wait to meet you in person! Gorgeous pic! They look like fluffy jewels. I wish I could be there. 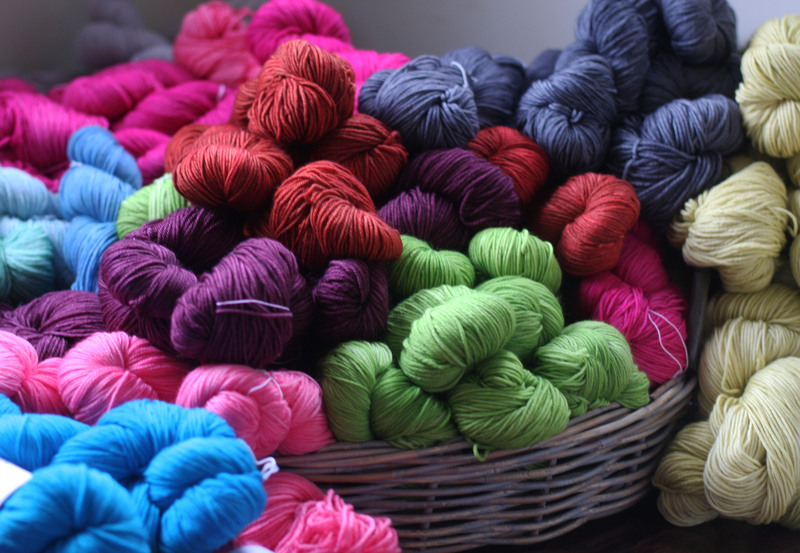 The yarns are so beautiful!